I noticed that the stand of corn at the corner of the Governor's Mansion property on Person and Jones is still green and lush. I think they have a whole team of people to ensure it stays healthy and the "Plant a Row for the Hungry" sign stays clean and straight. Seeing that only fueled my fire as I laid to waste the rest of my bug infested crunchy crop. We did have a friend offer his machete, but stomping the stalks was surprisingly gratifying. The Man still whacked at them with a fallen tree branch. My initial thought was, "I bet the people who make crop circles have a lot of fun." I'm not sure we will plant corn in the yard again because it takes up so much room per ear and we aren't really interested in using the pesticides needed to ensure we get the most out of the space. I'll buy at the Farmer's Market next time! I must take my losses in stride and realize this is all about learning how to garden and knowing my limits. Were I not very pregnant during the critical time to be watering, I might have grown a stronger crop and picked the corn before the bugs filled their tummies. It wasn't a total loss as the Man-child really enjoyed watching it grow and running down the rows. He actually cried big ole tears when he saw us knocking them all over. Hopefully the small plot of okra next to it will now get more morning sun. Speaking of okra, one of my favorite summer sides is fried okra. Mom perfected the art of making each piece perfectly crispy but not overdone. The Man and I haven't quite accomplished this yet, but I still very much enjoyed eating it last night. I'm growing two kinds of okra: red and green... sorry I don't have their specific names on hand. The red okra makes fatter pods and cooks up green. The green okra makes thin pods that I have to pick when they are only three inches or else they quickly turn woody. I had two types of seeds, one that grew 3" pods and one that grew 9" pods. I believe these are the nine-inchers, but nine inches of wood isn't as delectable as three inches of edible. 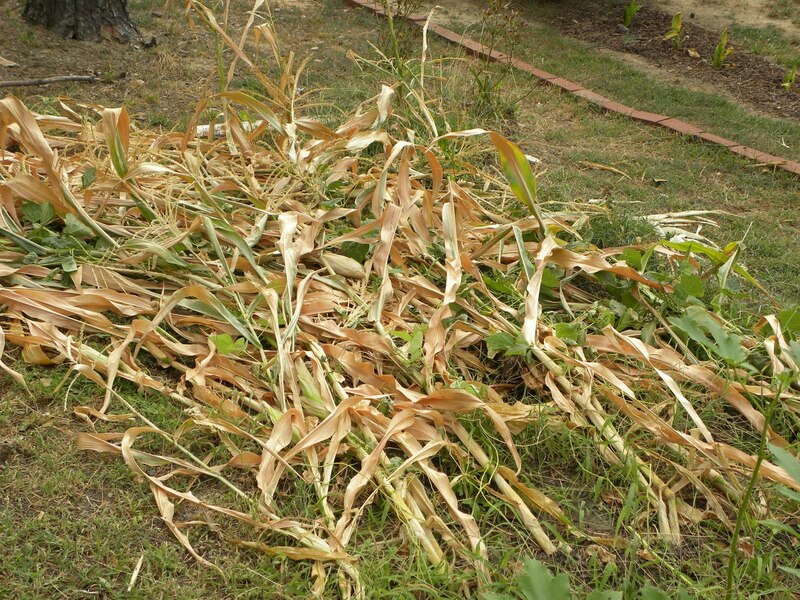 We had to compost much of what I harvested because they were too far gone. I now know I need to harvest a little every day or two. 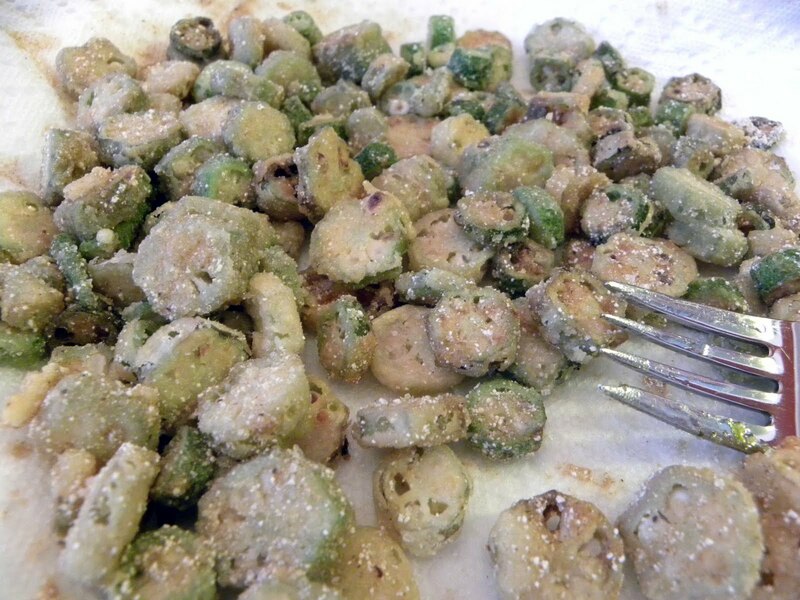 To prepare the fried okra, I mix up about a cup of flour and cornmeal in a tupperware, cut up the okra into 1/4" slices, dump it in the tupperware, close the lid and shake. I fry it in canola oil until crispy, let it drain on a paper towel, and add salt to taste. Yesterday I spent some time pruning my herb garden by the deck. It started when I decided to lop off all the flowers from the sweet fennel because I was tired of wasps being so close to where the Man-child plays. This plant was only supposed to grow to 4', but it easily topped 8'. When the plant dies back, I will attempt to dig it out and relocate it to the front where it won't be shading out tomatoes and the other herb plants. I also hacked deeply into the oregano, rosemary and lavender to encourage them to bush out. 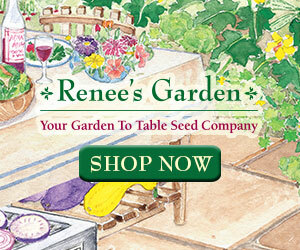 These are best pruned in early summer after they have blossomed. If they are pruned too late in the season, the are likely to be damaged by frost (I have evidence of this in the front herb garden). They are also best pruned when they are young or else cutting into the woody sections could lead to permanent damage as well. 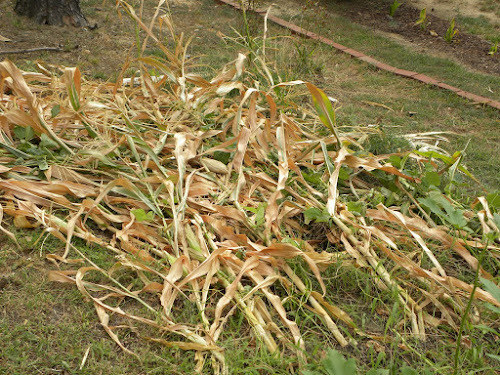 So sorry about your corn :( I finally pulled down the last of my bean plants too. They all got infected with some sort of leaf blight something or other and I think we got a total of 5 beans. I think I might have had a weak moment and cried as I pulled them. 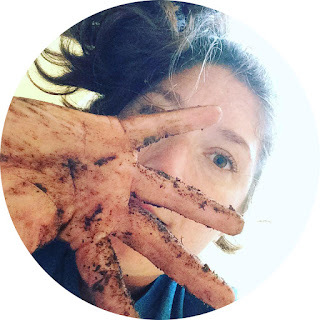 It is so sad seeing your work and hopes go down into the compost!! But you are right- the goal is to learn and improve and we can get our beans this year at the farmer's market! That's sad about the beans. I am still waiting for mine to flower, so I may be in a similar boat! Just remember not to put any diseased plant matter in your compost. It'll screw up whatever you add the compost to once it's ripened.